Do not put up with a broken dryer or washer. There is no need to leave dirty clothes lying around and not need to head over to the laundromat. You want a local repairman who is experienced an available the same day. For an affordable, reliable appliance repair company that offers same-day service, call Livermore Appliance Repair. Learn more here. Our experienced technicians have the tools, experience, and training to complete both common and difficult repairs during the first service visit. Our vans are loaded with manufacturer parts for all the major brands of dryers and washers. These include GE, LG, Bryant, Sears, Carrier, Armstrong, Kenmore, Goodman, Lennox, RCA and more! The most common reason people call us for washer repair is loud noises from the machine. We will diagnose the reason for the loud noise and tell you if we need to repair or replace the broken parts. A broken pump motor or worn belt or bearings are the most common reasons for the noise. If your washing machine does not turn on, first see if it is unplugged or if the circuit breaker flipped. Common problems are from a broken door latch, timer, or thermal fuse. When the washer won’t agitate the coupler, agitator cogs, drive belt, or transmission needs repair or to be replaced. When the washer won’t spin there is a problem with the door latch, wax motor, or motor coupling. We can fix these problems quickly to get your washing machine back to work again! Washers overflow because of problems with the water level pressure switch, water inlet valve, or the air dome tube. When the temperature control switch or inlet hose break your washing machine will give you hot or cold water. This is a job we can get done quickly. The most frequent dryer problem is a loud noise from the inside. Broken seals, bearings, or belts that are worn are the common reasons for loud noises from your dryer. Call us for same day repair. When your dryer does not heat up enough to dry the clothes, the reason lies with a high limit thermostat, broken heating element, or cycling thermostat. The same parts can make the dryer be too hot. Call our technician to inspect the machine, find the problem, and fix it all in the same visit. When the dryer doesn’t turn on, make sure it is plugged in and the circuit breakers are on. If the dryer is getting electricity and will not tumble or turn on, the problem typically lies with high limit thermostat, heating element, or cycling thermostat. These can be promptly replaced or repaired. Give us a call. When the dry will not turn off you can always unplug it. But, a better solution is to call our certified repairman. Usually the trouble is a timer or broken door switch. This problem is quick and easy to fix. 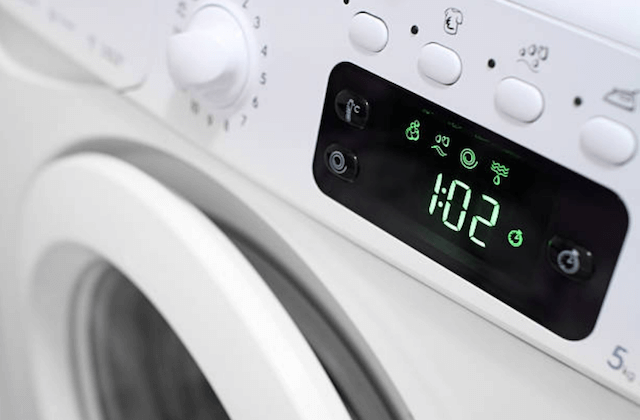 The dryer timer advances in order to complete the cycle. When it doesn’t there usually is a broken cycling thermostat or timer motor. When your dryer does not work, call us for same day service.